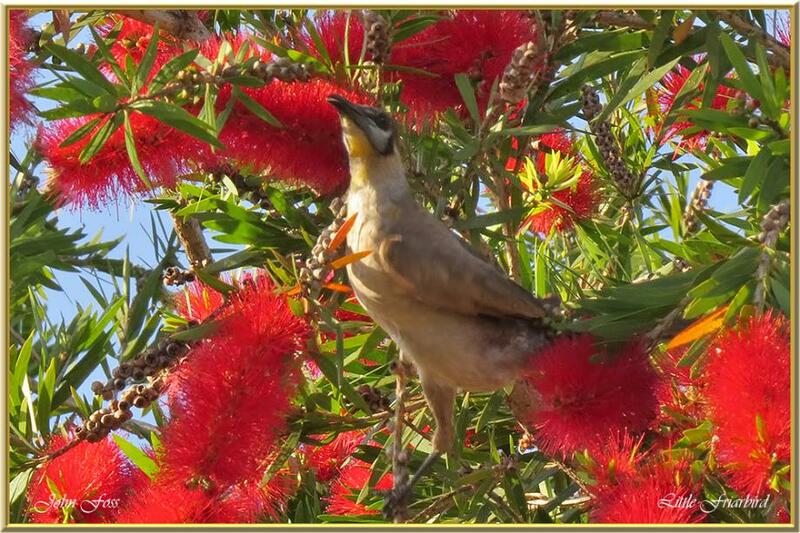 Little Friarbird - is rarely seen on the ground, its pends most of it's time high in trees feeding on nectar, fruit, flowers and seeds. They inhabit orchards, vineyards and gardens as well as forests and woodlands. This photograph taken in Bundaberg Queensland Australia.